Susanna Wesley Nursery School has classes designed for children ages 2-5. The Pre-Kindergarten classes will consist of children who will enter kindergarten the next school year. These children need to be 4 years old by August 1. The 3 & 4 year old classes will consist of children who have an additional year before kindergarten. They will turn 3 years old by August 1. The Playgroup will consist of 2 and 3 year olds. To be eligible, children must be 2 years old by August 1. Schedules may change each year as enrollment and the needs of parents and children vary. We reserve the right to refuse the enrollment of any child or to ask parents to make alternative arrangements for the care of a child enrolled in our program. Susanna Wesley will be open Monday through Friday. We offer morning sessions from 9:00 to 11:30 a.m. and 9:00 to 1:00 p.m. (Pre-K students only). SWNS staff is on duty from 8:30 a.m. to 1:00 p.m. on Extended Hours days and 8:30 a.m. to Noon on non-Extended Hours days. Pre-Kindergarten classes will meet either three or five days a week, parental choice. Extended hours will also be available on Tuesdays/Thursdays OR Mondays/Wednesdays (depending on scheduling) to those who choose to stay until 1:00 p.m. Generally Friday is an enrichment day. Children attending these classes will have the opportunity to cook and be involved in simple science experiments, etc. Friday dismissal is at the normal 11:30 AM time. 3 & 4 year old classes will meet two days a week. The Playgroup will meet two days a week. The daily schedule for the school year will be based on the number and ages of children enrolled. Letters will be sent to all those previously enrolled with information on our August "Open House" night. This night will allow children to see the classrooms. It will also give new families a chance to enroll children for the year. Our staff and school board will be present to answer any questions that you may have. Prompt arrival and departure are important. Children should be brought to their classrooms between 8:50 and 9:00 each morning. Teachers and aides use the time prior to this to prepare for the morning's activities. They are ready to greet the children at 8:50. Children should be picked up promptly at the end of the session (11:30 a.m.). Any deviation must be arranged with the Director or a $5.00 fee may be charged past dismissal time. No child will be released to an unauthorized person. We must know in writing, or, in an emergency, by a phone call to the Director, any change from the usual person(s) authorized to get your child. They must show us a picture identification before your child will be released. Parents must provide Susanna Wesley Nursery School with the names of all persons authorized to pick up their children. There is a space on the back of the enrollment form for this list. Please complete this information for your child's safety and update it as necessary. Parents, please call school when your children are going to be absent whether due to illness or other reasons. Tuition is $70.00 per month or $630.00 per year for the two day per week classes. Tuition is $85.00 per month or $765.00 per year for the three day per week classes. Tuition is $120.00 per month or $1080.00 per year for the three day extended hour classes. Tuition is $135.00 per month or $1215.00 per year for the 5 day classes. Tuition is $170.00 per month or $1530.00 per year for the 5 day extended hour classes. Tuition is due the first day of each month. (The exception is August) It must be paid by the 10th of each month or a $5.00 late fee may be charged. Consistent failure to pay will result in your child being withdrawn from the program. If a child is absent for a month or more, the parents may withdraw the child at no further charge; however, the parents must notify the Director of the withdrawal or tuition will be expected as always. Tuition will not be reduced due to absenteeism, public holidays, semester or spring breaks, or snow/weather/canceled days. For the shortened months of August and May only, tuition will be one half the regular monthly tuition. There is a non-refundable enrollment fee of $50.00 that must accompany each child's enrollment form. There is a $20.00 discount if you pay for the whole year at one time. Susanna Wesley Nursery School will observe public school holidays, vacation days, and snow days. We do not have school when the Mt. Vernon public schools are closed. If there is a 2-hour delay, we will be opened at our regular time. Attendance on those days is completely up to the parent depending on road conditions in your area or arrangements that must be made for getting other children to school. Check to the T.V. or websites for school closings in case of bad weather. When the public school has a make up day, Susanna Wesley will also have school in session to serve those students regularly enrolled on that day. Our starting and ending dates typically vary from the Mt. Vernon public school dates. 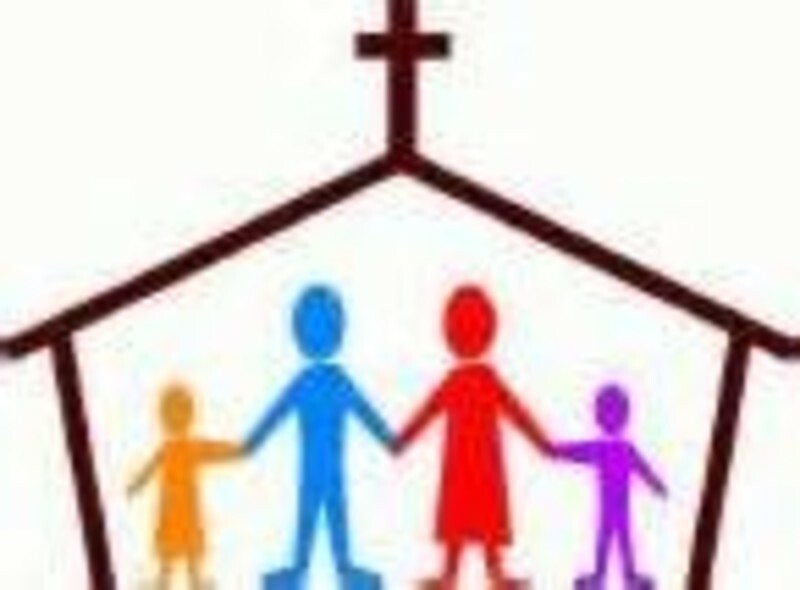 A nursery school calendar for the year will be available at Open House and on the church website. www.firstumcmv.com) Monthly activity calendars will also be sent home with your child. Children should wear clothing which is durable and comfortable. We will go outside whenever possible, so please dress children accordingly. (We go outside in winter if the temperature and wind-chill are at least 25 degrees Fahrenheit.) Select shoes which give support and allow freedom of movement for climbing, skipping, dancing, and running. Mark any removable clothing (coats, hats, gloves) with your child's name. Keep in mind that playing outside and art activities can be messy. Please don't send children to school in their "Sunday best". Please do not send your child to school with valuables such as money, jewelry, etc. As a general rule, we discourage bringing individual toys, especially toy weapons. Also, please no gum, candy, or cough drops. Most materials that your child uses at school will be provided. Sometimes children will need to bring something from home for a particular project, and a note will be sent home in advance. If toileting problems continually take staff members away from the class, a child may be asked to withdraw temporarily until toileting is manageable. A statement of good health is required from your child's physician on or before the first day of school. This form needs to be in the office when your child begins school. This may be on your doctor's medical stationery or the form provided, stating that your child is in good overall health, has had all immunizations up to date, is free from serious physical limitations, and is not currently exposed to any communicable diseases. This must be signed by the physician. A doctor's form is not required when a child returns to school after having a communicable disease. Please inform the Director of any communicable diseases to which your child has been exposed. Children who are ill must not be brought to school. An elevated temperature or contagious infection, such as diarrhea or vomiting, is considered reason for removal or absence of the child. Child must be free from fever for 24 hours before returning to school. There are no facilities to care for sick children at Susanna Wesley Nursery School. Anyone who becomes ill will need to go home with the parent or guardian. Please do not send medication to school with your child. Since we have only a 2 1/2 hour program, most medications can be given before or after school. If a child is well enough to come to school, we consider them well enough to go outside. Children will be checked at the beginning of the year for head lice, and rechecked periodically throughout the year. Head lice are not a serious health problem, but they are a nuisance, so we will make every effort to eliminate them. If a child is discovered to have head lice or eggs (nits), he or she will be isolated, and a parent will be contacted immediately to take the child home. The rest of the class will then be checked. Children may return to nursery school after they have been treated and their hair is free of nits. A child must be checked by the Director before he or she may return to class and regularly for a while. Susanna Wesley Nursery School employs alternative methods to help children solve behavior problems; physical punishment is not used. 1. We begin with basic classroom rules to help children develop respect for others and self- discipline. child from the group, person, or object if the conflict persists. The ratio of staff to children is 1 to 8. Each class is under direction of a teacher who plans the curriculum based on an understanding of the educational needs of children at this age. An aide works with each class. Birthdays are special, and we celebrate at morning snack time. We can accept food bought at the grocery that is in the original container. Cakes, cookies, donuts or cupcakes from the bakery are acceptable. If you want to supply other treats, or favors to be taken home, please check with the director or the teacher. Please check with your child's teacher in advance to arrange a day to bring treats. Please do not bring in birthday or other party invitations for us to deliver unless there is one for each child in the class. Parent-teacher conferences are held in the spring for children in 3 & 4 year old classes and Pre-Kindergarten classes. This is an opportunity for parents and teacher to discuss a child's progress and/or readiness for kindergarten. Parents are encouraged to talk to their child's teacher often, and to call the school if they have a question. Parents are always welcome to visit, and there are opportunities to help with field trips, parties, and special events. A limited number of scholarships are available depending on need. Contact the director for the appropriate application forms. Scholarships will pay half the amount of tuition for whichever class a child is enrolled in. If you are awarded a scholarship you will be required to pay your part of the tuition on time and regular attendance will be expected. Failure to comply with these terms will result in termination of the scholarship and your child will be withdrawn from school. and it is financially separate from the church. Please call 812-838-2835 to notify of a delay in your arrival. Hands on involvement and positive interaction with others provide a foundation for future learning. Children in Playgroup will spend most of their time playing. Playing is the way that 2 and 3 year olds learn about the world around them. to enjoy a variety of experiences--pretend play in the house keeping area or block building, puzzles and manipulative toys for small muscle development, sand and water play, stories, musical activities and songs, art activities, and outside play. While we do not insist that children be toilet trained at this age, we do maintain the right to ask you to temporarily withdraw a child who continually takes staff members away from class due to toileting needs. This program is a step beyond our Playgroup. While play is still a main emphasis, we also begin to implement more structure. By the end of the school year, children should be able to sit quietly for periods of 10-15 minutes for stories and quiet activities. We work on following directions and beginning to exercise self-discipline. Socialization is still a primary objective. Children have ample opportunity to practice social skills. We stress sharing, appropriate expression of feelings, cooperation, acceptable group behavior, and respect for others and their property. Learning takes place in all aspects of the pre-school experience. Specifically, we introduce colors, shapes, name recognition, and simple counting exercises. We expand our memory through finger plays, nursery rhymes & songs, and repeating or acting out stories we have heard. As part of developing a good self-concept, we include lessons on homes, families, pets, nutrition, and safety. We dance, exercise, and play games with music. We develop observation skills using our senses. We classify objects and recognize simple patterns. Through language activities, we hope to increase vocabulary and to recall and describe exciting events or family outings and experiences. Our art center is process-oriented rather than product-oriented. We offer an opportunity to explore a variety of art media; markers, glue, paint, dough, and scissors. Physical development increases as we begin to use outdoor equipment safely--to climb, swing, run, and ride bikes. Indoors, we can enhance small muscles through use of building blocks and manipulative toys. Emphasis in this program is on the transition between pre-school and kindergarten. There are two components of kindergarten readiness. The first, and most critical, is personal and social development. Our goals in the area of social growth are to respect self and others, to follow directions, recognize authority, develop confidence and learn appropriate ways of expressing emotions. We want children to participate alone and in a group in a variety of activities, to be able to sit in a group for at least 10-15 minutes without disturbing others, and to develop verbal expression and good listening habits. These things are important because socially mature children learn academic skills more easily. The second part of kindergarten readiness is very basic academic learning. We help children become confident learners by encouraging them to try different things. When children work with different materials in the classroom, they acquire skills in problem solving and predicting outcomes. We provide a variety of activities for children to work on language arts. We emphasize letter sounds, pre-reading skills, phonemic awareness, letter recognition and story dictation. Children are encouraged to begin printing their first names using correct upper and lower case letters. Later in the year, they will work on recognizing and printing their last name. In the area of math we sort, sequence, classify sizes and work with measurement, ordering numbers and number recognition. We offer opportunities to explore science by observing, predicting science experiment outcomes and cooking. Each classroom has an art center for self-directed activities including drawing, painting or creating unique projects from a variety of supplies. A teacher planned craft is also offered most days. Social studies include awareness of our immediate environment, interaction with peers and respect for others. We examine community helpers and the way people live and work around the world. Physical development consists of taking part in a range of indoor and outdoor activities for fine and gross motor skills. We build with blocks, complete puzzles and manipulate toys for nesting, stacking, matching and grouping. Gross motor skills include balance and coordination, running, jumping, climbing and riding bikes. Occasional field trips may be taken and special visitors sometimes present programs to the children. Why consider a five day program? * This class is more focused academically than the traditional three day class. * Children have more time to spend on kindergarten objectives and requirements. * Extra time provides children with opportunity to practice as well as learn new skills. However, this is still pre-school and we offer ample time for free play and interaction with friends in an enjoyable atmosphere. What do the Extended Hours Involve? become independent with eating and to manage the allotted time for lunch. Click the SWNS Preschool tab.